4. Rey becomes nearly as effective a Force-user in a few hours as Luke Skywalker did in a few years. Did she? Exactly what are you using as your measure? 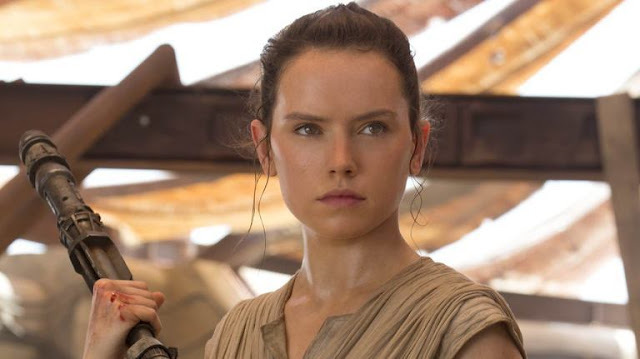 Did you notice Rey already knew how to fight and defeated multiple grown men with just a staff earlier in the film? Did you notice Rey already knew what the Force was, and already was familiar with all of the stories surrounding the Jedi, even knowing Han Solo, the Millennium Falcon and Luke Skywalker by name, as familiar as we are with everything related to the Force? Tell me the first thing you wouldn’t do, once someone told you the Force was real, was apply everything you ever learned from a Star Wars story in one day. Especially when people are trying to kill and torture you. Rey didn’t become as effective as Luke in a few hours. She was already effective prior to the film starting. As I have, and I’ll keep, stating, a plot hole is not an undisclosed detail or one you missed. You were shown Rey already knew how to fight. She already knew what the Force was capable of. Rey was a desert rat, who had clearly developed a level of skill and cunning to survive long before the film started. Luke was a farmboy who grew up with a family that was constantly trying to shield him from adventure or harm. Rey is nothing like Luke. The planet was self-destructing. That’s what they were there for. That’s hardly contrived or coincidental. Do you understand what these expressions mean? 7. Rey, who has never left her home planet since she was a child, can speak Wookie. (sic) Nobody can speak Wookie (sic) — it’s a running joke in the Star Wars universe. But Rey being able to speak Wookie (sic) surprises neither her, Han Solo, nor Chewbacca himself. Okay, now you’re just making stuff up. Did you really need these to be an even 40?